Leading Suffolk law firm Greene & Greene has advised Nexus Underwriting Management Limited on the acquisition of Beacon Underwriters Limited by its wholly owned subsidiary, Nexus Underwriting Asia (Holdings) Limited. Hong Kong headquartered, Beacon Underwriters Limited was established by Ravindra Shroff in 2009 as a Lloyd's Coverholder to write Marine Cargo, Hull and Machinery, and Ports and Terminals business for the Asian and Middle Eastern markets. The Greene & Greene team was led by Simon Ratcliffe, a Partner in the Corporate team in Bury St Edmunds, who was closely supported by fellow partners Andrew Cooper and Selene Holden. The Nexus Group has forecast Gross Written Premium of more than US$175m for 2016 and now trades out of offices in London, France, Italy and Hong Kong. Nexus has enjoyed dynamic growth both organically and by acquisition since its origins in 2008. The acquisition of Beacon Underwriters Limited augments Nexus’ footprint in Asia, subsequent to the opening of Nexus Underwriting Asia in 2015. As part of the transaction, Ravindra Shroff will remain as the Managing Director of Beacon Underwriters Limited. 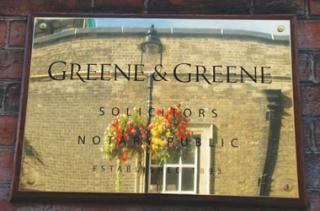 Greene & Greene’s involvement in the acquisition of Beacon Underwriters Limited follows on from its lead role in advising Nexus on its acquisition of businesses from Novae Syndicates in 2011 and 2012 respectively, the acquisition of EBA in August 2015, multi-million pound investments by B.P. Marsh & Partners plc into Nexus in 2014 and 2015 and the acquisition of Millstream Underwriting Limited in 2015.